Salt Lake County District Attorney Sim Gill is overseeing a criminal investigation into officers involved in the handcuffing of nurse Alex Wubbels. He is asking for FBI help in part because his office can't prosecute possible civil rights violations like wrongful arrest, Gill said. "This is a very important issue, and it's of great concern in our community," he said. A federal probe could also look for any larger systematic problems that contributed to the arrest, Gill said. Salt Lake City police detective Jeff Payne insisted on drawing the blood, maintaining in his report that he wanted the sample to protect the man rather than prosecute him. 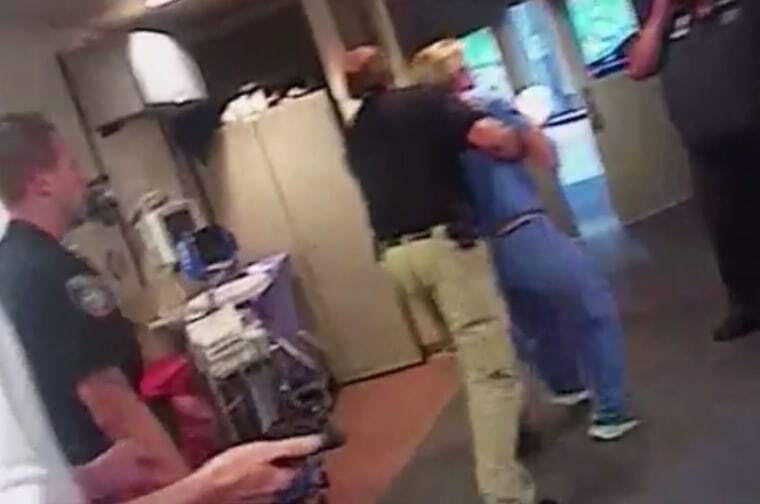 He was supported by his supervisor, Lt. James Tracy, who said the nurse could be arrested if she didn't agree. The dispute ended with Payne handcuffing Wubbels and dragging her outside while she screamed that she'd done nothing wrong. She was later released without charge. Payne, who has worked for the department for over 20 years, was put on paid leave by Salt Lake City police after the video emerged. A second officer also put on leave has not been identified, but police have said Tracy's actions are also under review. Neither Payne nor Tracy could be reached for comment Thursday. The Salt Lake police union didn't return messages seeking comment.